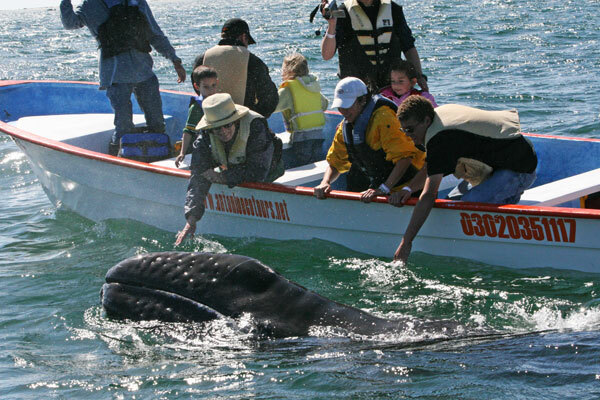 You are here: Home / Community Outreach / Why do Gray Whales appear “Curious” about Whale-Watchers? Why curious about people in small boats? The short answer is “we don’t know”, because we are not gray whales, and we will never understand completely the whale’s interest in approaching whale-watching boats. However, after 30-years and thousands of hours observing gray whale behavior around boats, I can share with you my thoughts on the special circumstances that contribute to the “curious” whale behavior that we see in Laguna San Ignacio.